Kate offers expert legal advice to school districts and public agencies on employment and labor matters, special education issues, and First and Fourth Amendment rights in schools. 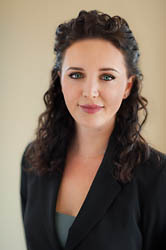 Kate routinely advises clients regarding compliance with the Individuals with Disabilities Education Act, the Educational Employment Relations Act, the Family Educational Rights and Privacy Act, the Public Records Act, the California Voting Rights Act, the Brown Act, and discrimination issues. Kate represents clients in classified and certificated discipline hearings, special education due process matters, student expulsion hearings and appeals, mediations, and writ petitions. She conducts presentations and training seminars for board members, administrators, teachers, and other public agency staff on topics such as off-campus online communications, employee discipline, and sexual harassment prevention. Kate previously served as in-house counsel for San Diego Unified School District. Her background also includes researching student and teacher use of electronic communication devices through the Center for Education Policy and Law, University of San Diego and representing K-12 and community college districts with a private San Diego education law firm. Kate earned her Juris Doctor from the University of San Diego and interned with the General Counsel for the California Department of Education. She received the International Academy of Trial Lawyer’s Award of Excellence in Advocacy in 2009. Kate earned her Bachelor of Arts in English with a minor in Education from the University of California at Berkeley.